Our unforeseen journey to Siberia began seven years ago in a jail Bible study in Mount Vernon, Washington when I met Andrey, a then 21-year-old Russian man who God is now raising up as an evangelist and prophetic voice in far away Siberia. Andrey grew up in a Russian Pentecostal family that migrated to Washington State when he was twelve years old. In his late teens and early twenties he got involved in drugs, leading to stints in jail and eventually a one-year sentence in Skagit County Jail. There in our weekly Bible studies his faith in Jesus was re-ignited. I watched him grow in faith and clarity of calling from month to month, and advocated for him during his year in immigration detention. I have often advocated for immigrants charged with worse crimes than Andrey’s and won “cancelation of removal,” which allows people to retain their permanent residency status. Winning Andrey’s case required the local prosecutor’s cooperation. Sadly he refused, in spite of widespread community support. The best legal counsel, a massive prayer effort on the part of his family and church and my own testimony in his trial before a judge I even knew personally did not stop his removal. 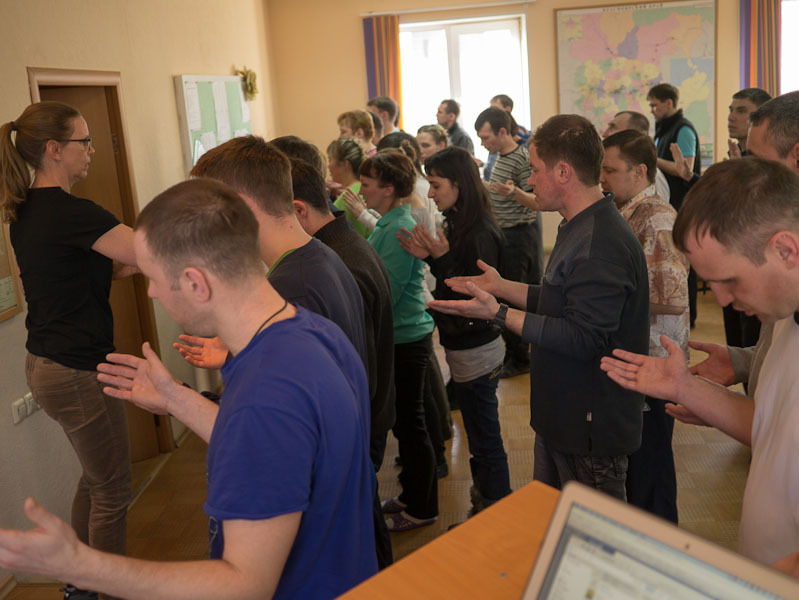 In 2010 Andrey was “cast out,” perhaps accomplishing Jesus’ instructions to evangelizing disciples to “beg the Lord of the harvest to cast out (ekballo) workers into the harvest” (Luke 10:2). 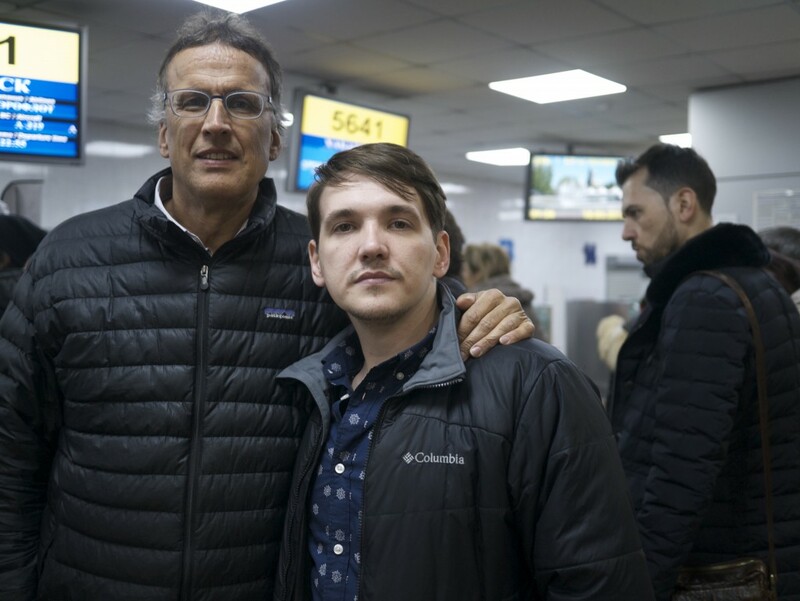 Andrey was deported back to Russia with a lifetime bar to re-entry into the USA. Andrey and I kept in touch through Facebook, where I learned that he eventually moved to Siberia to attend a Bible school and became active in a network of churches. A few years ago Andrey invited Gracie and I to Siberia, insisting that our approach to ministry was needed there and that his Bishop wanted us to come. I was reluctant to go to Siberia due to uncertainty about what we’d be doing, an already busy schedule and other reasons. I grew up during the Cold War, when the Soviet Union was America’s number one enemy. I remember as a child hearing that if the Russia communists took over America, they would persecute Christians. This would likely include me being separated from my parents and even being sent to a re-education camp, or maybe even to a prison labor camp in Siberia. I always wondered whether I would hold up under persecution. This childhood fear may well have contributed to some hidden reluctance, which was soon overcome. 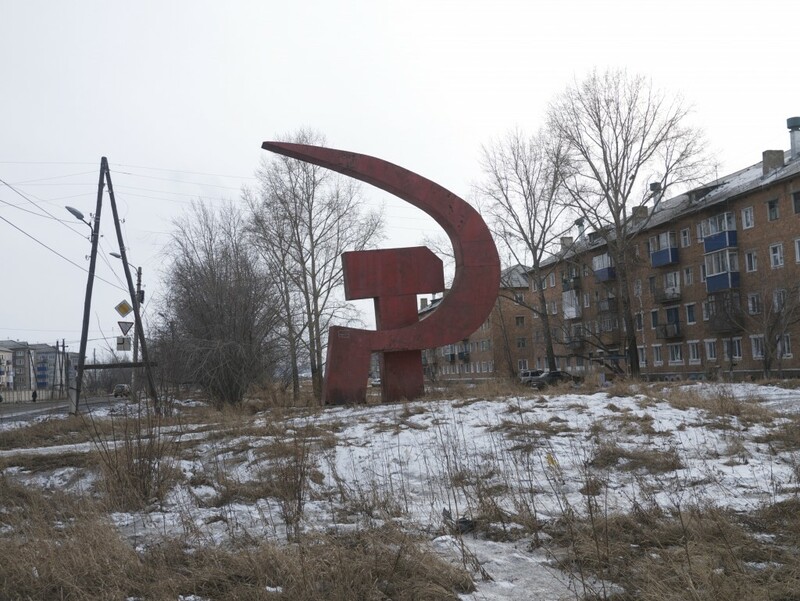 Krasnoyarsk was in the heart of the Soviet Gulag, and reputedly has some 45 prisons in the surrounding area. The more Andrey invited us the more Gracie and felt we were being called to go—even if the Russian churches couldn’t cover our travel costs. A week after putting the tickets on our credit card, a generous donor called us out of the blue and offered to pay for our tickets. In March Gracie and I flew from Seattle to Bangkok, continuing on to snowy Krasnoyarsk via a seven-hour flight over China and Mongolia. Gracie and I arrived to -22 degree Fahrenheit temperatures, without really knowing what we were getting into. We ended up with a fully packed schedule. Andrey drove us from church to church through snowy aspen-covered hills and plains on Siberia’s permafrost-damaged roads, interpreting for us as we ministered together over ten intense days. The first day we were to speak at a local conference, and were asked to teach on the broad topic of relationships. “What exactly are you hoping for?” we asked, and we were told that people knew almost nothing and needed basic teaching on dealing with gender differences, conflict, and child raising. Some sixty people showed up in a large log cabin-like structure heated by coal (like every place). In prayer I’d gotten the impression that God wanted to heal people with Hepatitis C. After worship I mentioned this and invited people forward who had this condition. I was shocked to see over half the people came forward, including the five pastors attending the conference. Large numbers of people continued to respond to this same invitation in seven different churches. 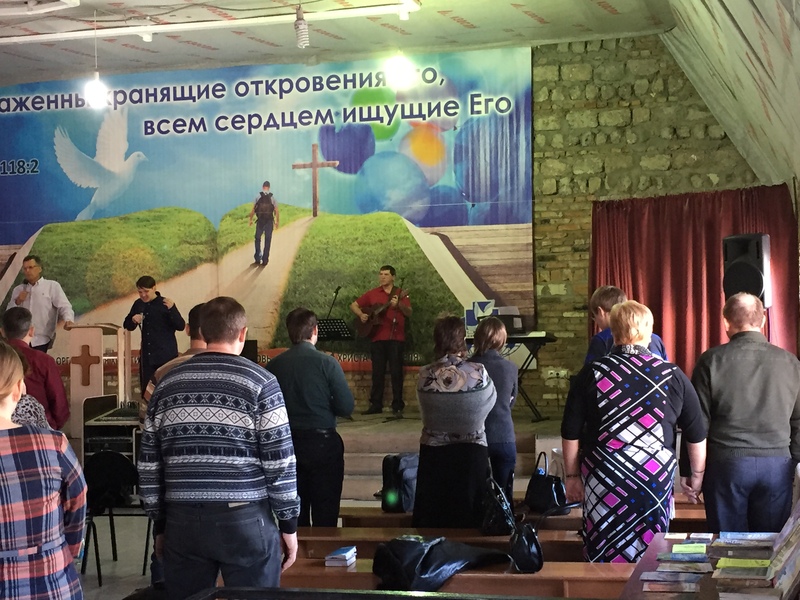 We learned that most all of the pastors in this denomination and a large percentage of the people had been heroine addicts, and many had done time in a Siberian prison. The social chaos that ensued right after the fall of the Soviet Union in the early 90s included widespread use of intravenous drugs, and many had contracted Hepatitis C.
We were inspired to learn that twenty-five of the thirty-five churches in the network had their own recovery houses, and the denomination ran a yearlong Bible school that most all of the pastors had attended right after their year in rehab. For two days we taught the fifty or so students in this Bible school, most of whom had come straight there out of recovery houses. Everywhere we went we prayed for people’s healing of Hep C and many other conditions, hearing report after report of people experiencing either intense heat or pain or pounding in their livers as we prayed, followed by the disappearance of symptoms. While we have yet to hear about blood tests confirming healings, we believe Jesus was healing people’s livers as we saw others get relief from other chronic conditions, and be filled with the Holy Spirit. We witnessed God healing people’s hearts and freeing people from demonic oppression during ministry times. The pastors told us about the Russian version of fatherlessness due to the approximately 30 million men killed in World War II, in addition to widespread death during Stalin’s purges. Many of the people we were ministering to had been raised by single mothers or by fathers who themselves had not been fathered and had consequent blocks to knowing God as Father. The last two days were the highlight of our trip as some 250 people gathered for a conference on holistic liberation. We had noticed a young man severely disabled the first day of the conference during worship. He was hunched over from severe scoliosis and he dragged his right leg behind him as he walked, hands clasped tightly. On the last night we were told to not invite people forward for prayer for Hep C because probably 90% of the people had it. Rather the pastors suggested we have a prayer tunnel formed by the pastors and ourselves. That night we prayed for hours as men and women filed between us. We were deeply affected by the condition of the people who came through the prayer tunnel. Many had scars on their heads, their bodies wracked by years of neglect and drug abuse. The young man who was lame passed between us, and we rebuked the plans of the enemy and blessed him. The next day after our final Sunday service before flying on to South Korea a woman approached us gushing with enthusiasm. Andrey translated for her as she thanked us for praying for her son. “He is now able to bend his leg and his is standing completely straight!” she exclaimed. The young man was brought to us and we were able to witness first hand the dramatic healing he had experienced the previous night. He showed us how he could bend his leg and back as he stood straight, his hands open. We learned that he had cerebral palsy from birth, and we heard him recount how he’d felt the Holy Spirit connect his brain to his leg and was experiencing a restoration of his memory. We were moved and inspired by the people and leaders we met, and amazed by Andrey’s growing role as a catalyst for change and now a pastor in a new church plant. Andrey later joined us in Paris for a course on deliverance—eager to learn all he can for his challenging ministry. We returned home inspired by these Siberian leaders, raised up from the prisons and drug culture to become effective evangelists and pastors. Now they were leading vibrant communities and overseeing recovery houses and “houses of mercy” that take in the most destitute people. 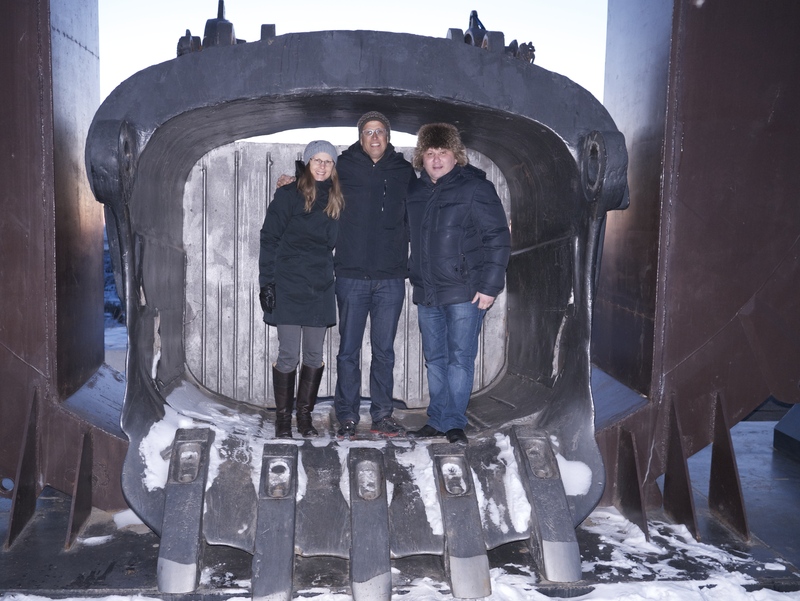 We conducted extensive interviews with the church network leader Bishop Maxime (pictured below with us in coal extractor), and a week after returning home he and another leader Sergei even visited us at Tierra Nueva, inspiring us further. We are now working more deliberately then ever here at Tierra Nueva to raise up ministry workers from the margins through our training here and abroad– including critical perspectives from recovery programs with inner healing, deliverance and leadership training to see holistic transformation where it’s needed the most.